Our latest data shows that Uganda spent $250,000,000 on their military in 2012 which amounted to 1.3% of the country's GDP that year. Check out the chart below for more Ugandan military budget data. We can only publish the past 12 years, but SIPRI has data as far back as 1988 on their site. Land Forces (includes Marine Unit), Uganda Air Force. 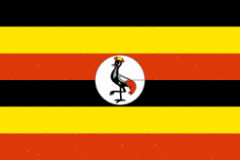 18-26 years of age for voluntary military duty; 18-30 years of age for professionals; no conscription; 9-year service obligation; the government has stated that while recruitment under 18 years of age could occur with proper consent, "no person under the apparent age of 18 years shall be enrolled in the armed forces"; Ugandan citizenship and secondary education required.